FPS stands for frames per second, and is the best way to know how well a game runs on your PC. Ideally, you should be getting at least 30 FPS, but aim for 60 FPS for a much more smoother and enjoyable experience. 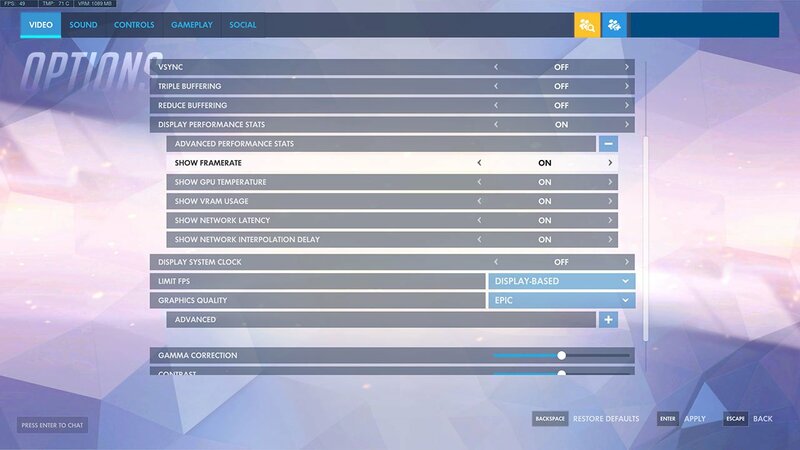 We recently covered a guide on how to increase your FPS in Overwatch so that it runs faster. Whilst in this one, we’re going to show you how to enable the FPS counter so that it appears in-game. Thankfully, Overwatch comes with a built in counter that just needs enabling. Which we’ll show you how to do below. Meanwhile, we’ve covered a few more Overwatch Guides here! In Overwatch, head into the options menu from the home screen. Make sure you’re in the video section. First, make sure you have enabled ‘Display Performance Stats’. This puts a small bar in the top left of the screen which shows important information. Expand on this menu by pressing the little + icon. Make sure that ‘Show Framerate’ is enabled and save your changes. You may also want to enable ‘Show Network Latency’ so that you can also check ping.